Ford Viet Nam is recalling more than 17,000 Ranger pickup trucks and Fiesta cars to check and replace door lock control systems (not including back doors). More than 10,800 Ford Ranger units are being recalled to fix their lock controls. 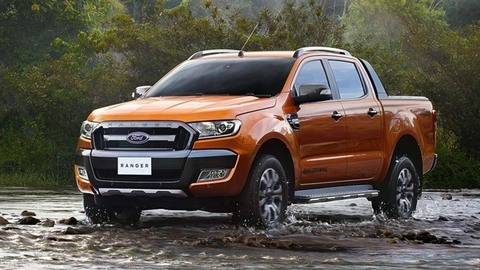 A report issued by the Vietnam Register on Wednesday showed the recall campaign includes 10,814 Ranger units manufactured from May 23, 2011 to May 20, 2015 and 6,318 Fiesta units produced between November 2, 2010 and November 15, 2013. According to Ford Viet Nam, impacted cars may have door lock controls which do not match completely, causing the doors to open automatically while the car is in operation. The check and replacement time is estimated at three hours for each car. The recall campaign will last until November 30, 2022. Meanwhile, auto importer Automotive Asia Company is recalling 103 Audi A6 units to fix a faulty sensor that may prevent the vehicles’ front passenger airbags from causing injuries. According to the Audi importer, the Audi A6 units, which were equipped with the Takata manufacturer’s airbags, can get too much pressure from the airbag’s inflator, causing the bag to burst or crack when activated. This may allow the small metal pieces of the inflator to leak through the airbag cover and possibly injure the passenger. Audi Vietnam recommends customers quickly bring their cars to an authorised dealer for the best advice and replacement. Replacements are expected to take about one hour for each vehicle. The campaign runs from December 1, 2018 to December 1, 2020.